– The arrival of the olympic torch at Incheon international airport as well as the torch relay on Incheon Bridge. 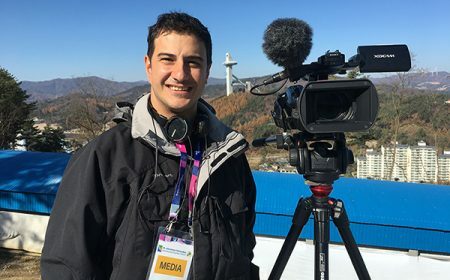 – Several pieces about Luge athletes which included filming onsite / offsite interviews, as well as their training at the Olympic Sliding Centre in Pyeongchang. Sometimes when you shoot news content you spend a fair amount of time working on your own but thankfully this time around I had the privilege of working as team on all shoots. You always learn a lot by working with new people and I feel it’s a really important thing to do in this industry. There was a lot of travel between Seoul, Pyeongchang and Gangneung throughout the month which helped me further my abilities in planning and logistics. I was often in a position where shooting had to be really efficient due to time constraints which was also an important part of November’s journey. 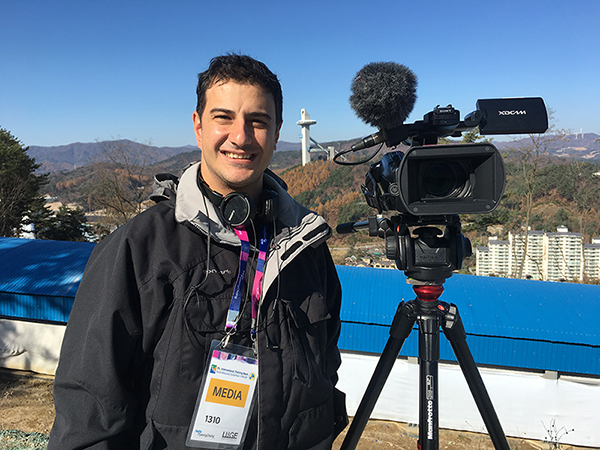 Overall things went really well and I am looking forward to the next opportunity to work in Pyeongchang. 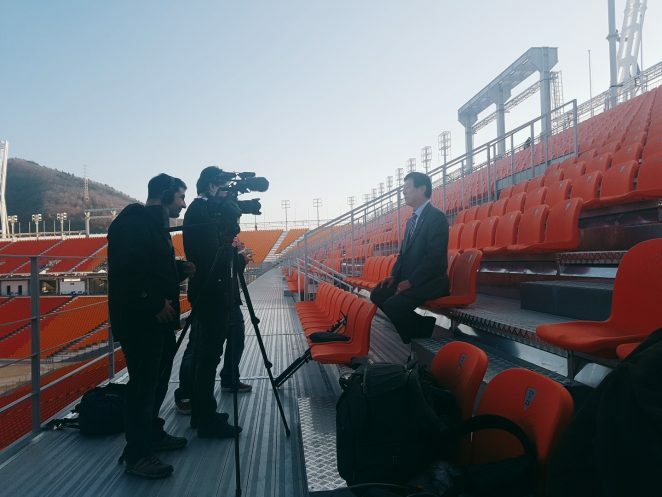 This was an interview that was filmed in Pyeongchang at the Olympic Plaza. 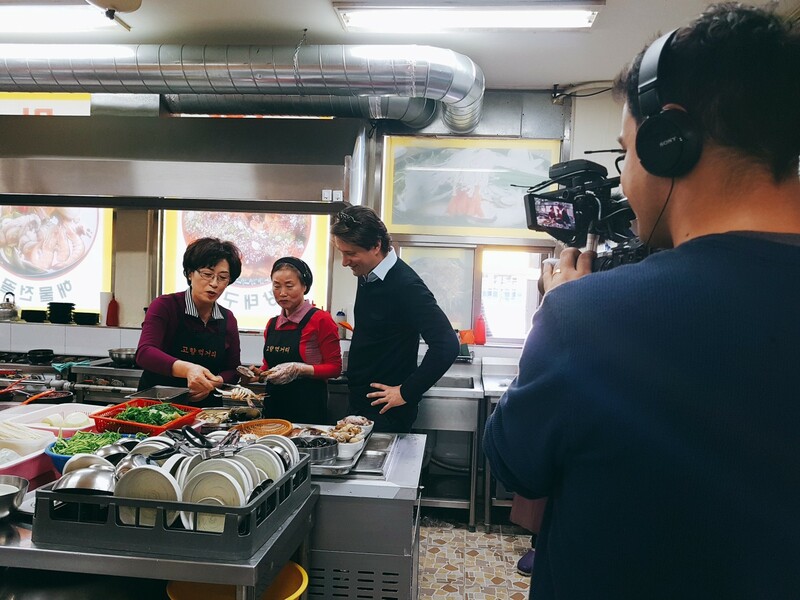 This scene was filmed at a local restaurant in Gangneung, South Korea.